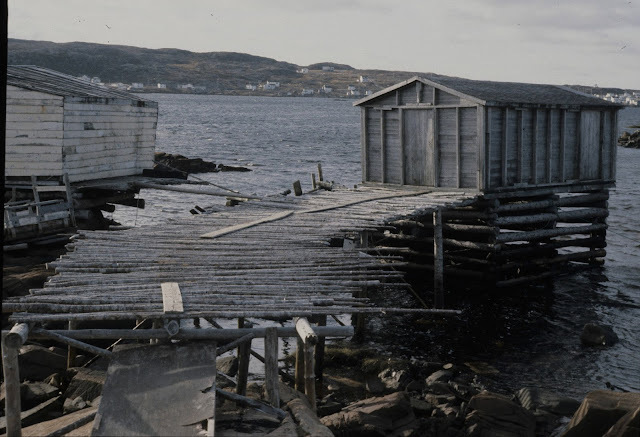 Fishing stage in Joe Batt's Arm. 1997. Photo by Gerald Pocius. Memorial University of Newfoundland. Folklore and Language Archive. Photo courtesy of MUN's DAI. As part of the Collective Memories project the ICH office is showcasing community material which has been placed on Memorial University's Digital Archives Initiative. This interview with Aiden Penton of Joe Batt's Arm was recorded on May 16, 2009 by Dale Jarvis at the Marine Institute of Memorial University as part of a boatbuilding fieldwork documentation course. In the interview Aiden discusses his life as a boat builder, his family history, and boat building in Joe Batt's Arm.